What is the secret to your continued success and what is your leadership philosophy? Throughout my career, I’ve always followed my curiosity and I’ve always enjoyed working on the steep part of the learning curve. I’m not shy about taking on things that are new to me. I think that is what has kept my career both exciting and dynamic, and allows me to learn from one experience and apply it to another. 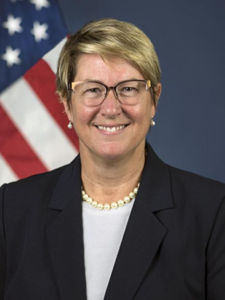 Encouraging curiosity and open discussion across all of NHTSA, with our stakeholders and the public is essential because we’re going through a time of change. It’s so important that we be comfortable talking openly, even about difficult topics. Creating a safe space for open conversation on the shared mission of safety is very important to me, and that’s been a big part of how I’ve approached my work at NHTSA. ￼How do you foster that open dialogue? I have been traveling throughout the United States and meeting with local officials. Sitting in a room together with a very light agenda and talking openly about our problems has been a great trust builder. It allows us to identify solutions together and to build the trust to execute those solutions together. Internally here at NHTSA, I try very hard to make sure I’m engaged with all of our team and not working through only the leaders. So, for example, in our research program, I ask that the researchers on each project describe their research to me so that I can be engaged and supportive. It helps me be smarter about our work. It helps them feel comfortable approaching me with things they think we should be doing better or that they want me to know about. ￼What are your current goals for NHTSA? One of the things that’s very important to me is raising the public awareness of open recalls like Takata airbags. Another is the very complex and important work of setting fuel economy standards. And a third is the work to raise public awareness and support for our community partners in drug-impaired driving. Those are all three critically important priorities for safety. We see these new challenges emerging that we have to get ahead of, and that’s why I’m so focused on partnering because none of us can solve these problems alone. One of the reasons I came to NHTSA is because the values resonate with me: integrity, leadership and service. Emphasizing service and adapting to the changes in society and in technology is very important to me. That’s also why we are committed to open communication. I suspect all of us have ideas on how things can be better but people don’t know how to change them. We can all look at those opportunities together to make our work better and make ourselves more successful at the mission by being open and unleashing the creativity of our teams. ￼What transportation-related issues are you most passionate about? Well there’s one that scares me, and it’s the ticking time bombs in the cars in your community and mine with the Takata airbag recall. The reason it’s so important is because without warning these airbags can explode and injure or kill a driver or a passenger. And also, because we need to change car owners’ and drivers’ awareness and behaviors about open recalls. We are eager to partner with DMVs in particular because DMVs are a trusted voice with drivers and owners of registered vehicles. We continue to do as much as we can to raise awareness on social media, through public appearances, through every mode of communication. Our friends and neighbors are very busy and getting their attention on this is difficult. But it’s so important because their lives could depend on it. ￼What do you enjoy doing in your free time? Well, I don’t have a lot of free time now, but I was completing my SCUBA instructor training until about 10 p.m. the night before I joined NHTSA. 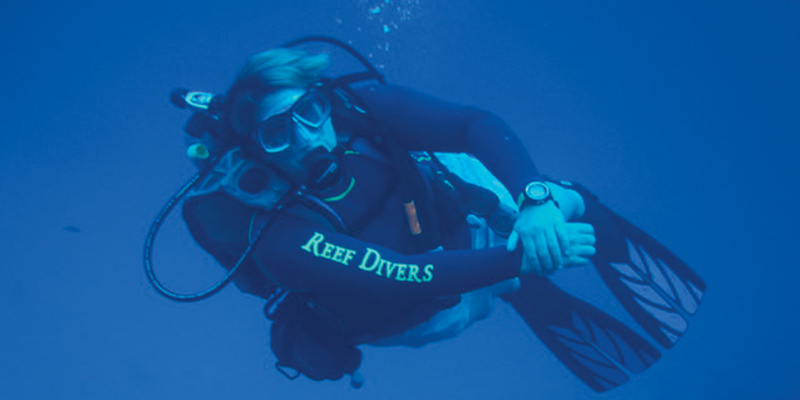 I’m only an assistant instructor now, but I look forward to continuing both diving and helping other people learn how wonderful it is to relax and see the magical world underwater. My favorite dive was in 2017 in the Sulu Sea in the Philippines where I encountered a number of whale sharks. It was an experience I never ever dreamed I would be blessed to have. 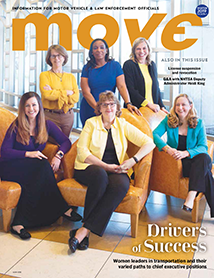 ￼The cover story for this issue features women leaders in transportation safety. Reflecting back on your career, what changes have you seen with regards to gender and diversity in the workplace? My daughter is now training as a scientist. I see these wonderful women scientists coming into the community that are recognizing they do have a role and a voice. We’re making a lot of progress as a nation. It’s important that people recognize the opportunity open to them in transportation or in technical fields or in fields that traditionally have not been as diverse. Optimizing the effectiveness of our talent pool is one of our competitive strengths as a nation. And it’s very important to me as a leader to make sure that all of my team members are able to excel in the job for which they’re best suited, even if it’s not one that their grandparents would have been welcomed to.